I bought a cute tea pot today. It is sitting on the recliner, in case you are wondering, but that has nothing to do with the issues surrounding it. It was not an expensive tea pot. 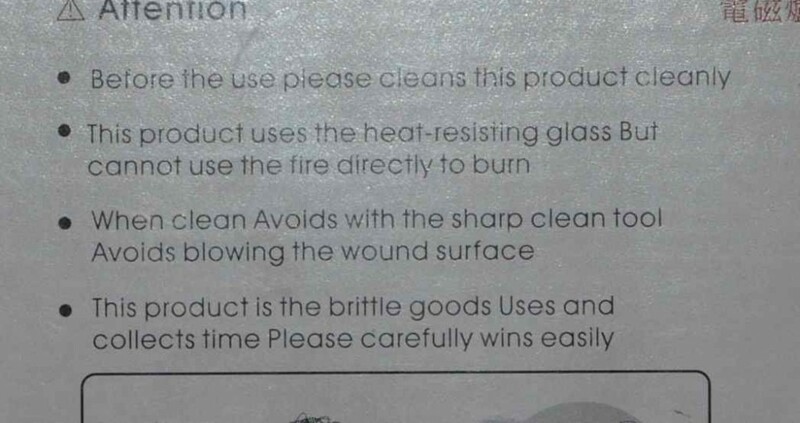 And it may look simple to you, but you have probably not read the English translation of the Chinese directions. I need to make it very clear that I am NOT making fun of anyone. I am just giving you a window, hopefully with a smile, into the translational difficulties that I am surrounded with daily. I have met many Taiwanese that speak English that is impressive to anyone who has some understanding the challenges of grammatical and pronunciation differences between the two languages. I have met a few who speak it easily and mostly clearly. Most of the time it takes commitment from all parties involved to try to communicate. 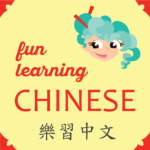 It all makes me feel very humble about my attempt to learn Chinese. It came in a box, with four sides like usual. 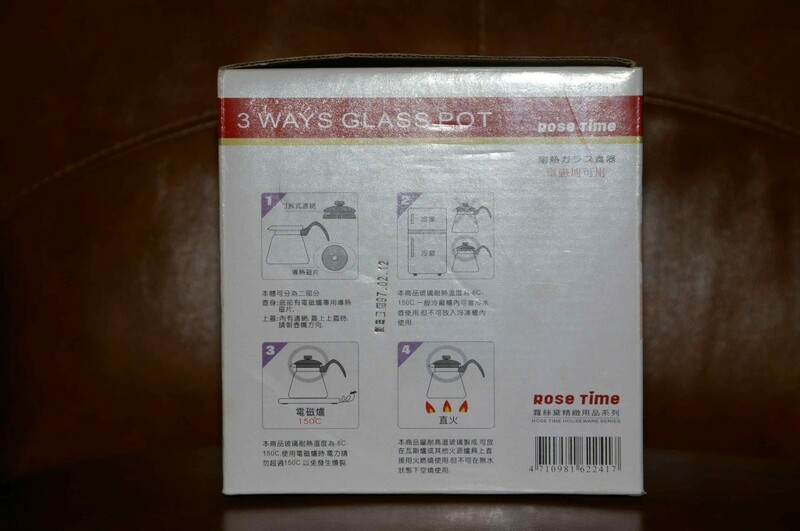 After “reading” three sides of Chinese characters, I took it out of the box to look at it and decided it was a basic tea pot. It would do the job of holding water and even possibly double as a beaker for Jesse’s science experiment. See the nice pictures that show things like don’t put it in the freezer, but its okay in the refrigerator? When I got it home, the kids were helping me put things away and Jesse said, “Did you read these directions, Mom? It says you can’t put a fire under it.” I exclaimed that it couldn’t be so and showed him the nice picture. He showed me the English translation on the fourth side of the box. Ah, good, you say, clarification! Not so fast. Let me show you the English translation. I suggest you read it aloud for the full effect. Greg suggested that maybe if we read every other word… nope. He’s still working on the code. He really wants to figure out how it collects time, as well as how to utilize it winning capabilities. 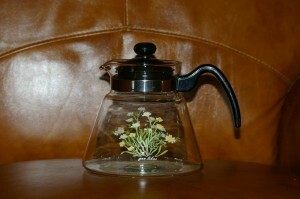 But its a cute tea pot and I think we’ll be able to use it. We’ll probably rest it inside of the wok over a burner. Kind of like the hot pad in the pictures, even if I’m not really sure what the pictures mean. It only cost about $10. Now, I need to find Jesse a glass thermometer for the experiment. I have already determined that the pharmacy only sells electronic ones. Can’t immerse those. Maybe the cooking store, Greg says. All I need is a simple thermometer.